Rare things (gold, love, flow) are usually worth seeking out and holding onto. Less rare things (plastic bags, recent superhero movies, dust) are usually not. You don’t normally find gold nuggets lying around in the street and you don’t usually have to stockpile tap water. The more scarce a commodity, the more valuable. The less scarce a commodity, the closer it is to being garbage. Maybe one day — through technology — no commodity will be scarce. Everyone will share unlimited abundance. This design is called a post-scarcity society and is fueled by post-scarcity desires and post-scarcity economics. The word ‘rare’ will come up primarily in steak houses. Most of us would see post-scarcity as a beautiful Utopia: enough for all, no poverty, no insatiable commodity lust. Post-scarcity Anarchists believe the Utopia’s already here (or at least already possible if only we’d distribute the abundance more evenly). Many of you will know of my aloofness to material goods. By choice, I don’t own much of anything. My idea of heaven is a spartan, minimalist enclave where nothing exists save for the relevant, the useful, the beautiful. Most people share this sentiment but don’t observe it, or their definitions of relevance, utility and beauty are broader than mine. A good guide for deciding what to keep and what to jettison as a minimalist is to “act as if” we have a post-scarcity economy. This way, you’re more likely to keep things of value and less likely to waste your time fussing over garbage. I have a friend who isn’t a minimalist and doesn’t think in post-scarcity terms. He’s a spectacular fellow, but he basically lives in a man-shaped cavity in a cube of refuse. He accumulates all manner of stuff. A thousand DVDs, hundreds of books, a graveyard of superfluous kitchen equipment (salad spinners and the likes). 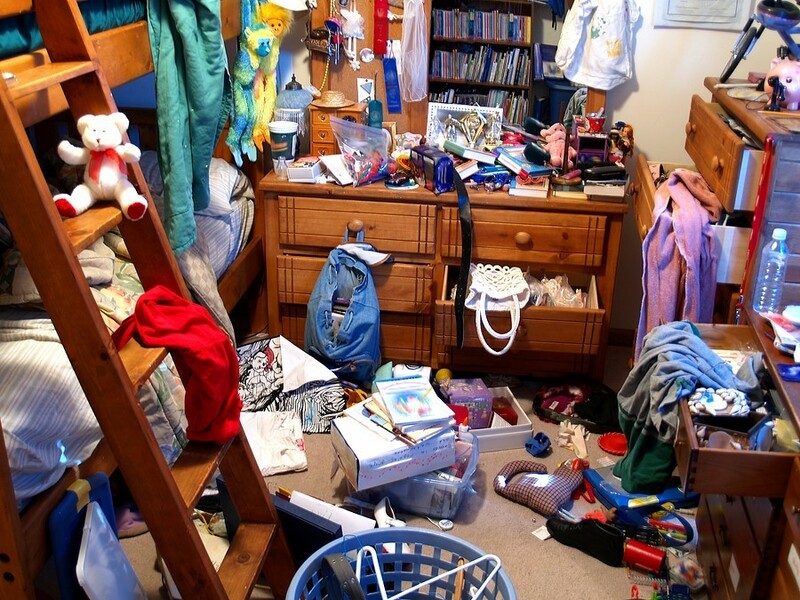 The effect is of a clogged-up nest, a hoarder’s den, the walls closing in, empty space at a premium. His home is the very antitheses of minimalism. If he likes to live this way, so be it. But he “acts as if” airport paperbacks and unused kitchen appliances were somehow scarce; as if having them in his proximity at all times is worthwhile; as if it gives him some advantage. He thinks his stuff provides an advantage because he thinks he still lives in a pre-scarcity world: a world where there aren’t enough salad spinners to go around. He thinks he’s richer than his neighbour because he hasn’t noticed that these things are in massive abundance. The kind of books he’s accumulated, for example, are not scarce. Should one of his books vanish or be destroyed, he’d be able to replace it in moments. The local library undoubtedly has a copy, as will the local bookstore. eBay is chock full of them. A digital edition floats in the ether, ready to be captured at a moment’s notice. To all intents and purposes, this book is not scarce. Realising that these things are not scarce leads one to believe that maybe we really do have a post-scarcity society already. What, really, is scarce any more? For what do we want today? If an era, as Arthur Miller said, is over “when its basic illusions are exhausted,” maybe we’re at the end of the era of scarcity? I hadn’t heard of post scarcity before, but I had sort of noticed that the universe appears to be infinitely abundant when it comes to most things especially those descrided in the article. Realising this certainly helped me get rid of a lot of clutter. I still have easy access to most things I want relatively cheaply. I have had a notion for a while to watch a particular film, and saw it by chance in a charity shop for £1.50, I also had that afternoon free. I got to see the film which I enjoyed and the DVD was back to the charity shop the next day. So I do agree we are possibly there when it comes to “wants” but not when it comes to “needs”, a whole different area all together. We often substitue “needs” with “wants” especially if we are not sure what our needs are. That’s the ticket. Very little is rare in terms of what’s commercially available. If you’re patient, serendipity will provide.